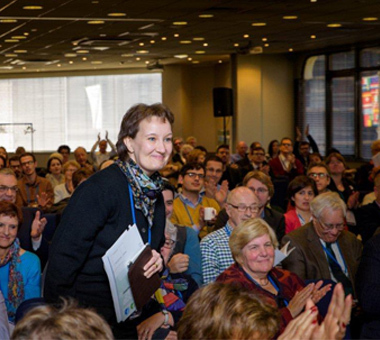 The EUPJ is governed by the European Assembly, which normally meets once a year to consider the work of the EUPJ and its members since the previous meeting of the European Assembly and to elect officers to fill any vacancies. 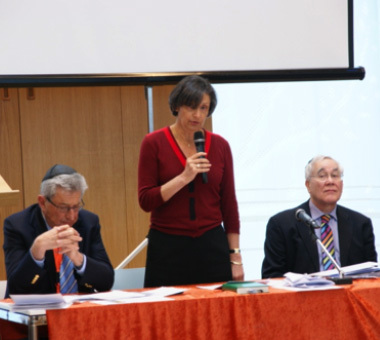 It’s objectives are to discuss and promote the development of Progressive Jewish communities in Europe and in support of Israel and the WUPJ and to consider and, where appropriate, adopt resolutions setting forth the position of the EUPJ and to better enable members to carry out the mission of the EUPJ. 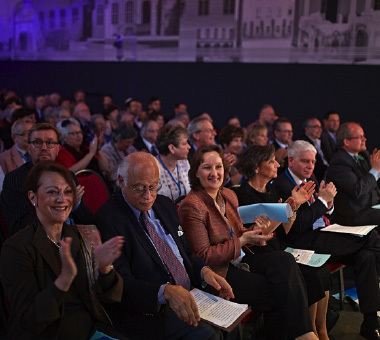 The European Assembly consists of the following persons (all of whom must be Jewish according to the EUPJ Constitution) – The President, all Honorary Life Presidents and All Vice-Presidents, the Chairman, the Vice-Chairmen, the Honorary Treasurer, the Honorary Secretary, all voting members of the Executive Board, any person co-opted by the European Assembly and the delegates appointed by EUPJ members and associated bodies referred in the Schedule of Constitution Delegates.